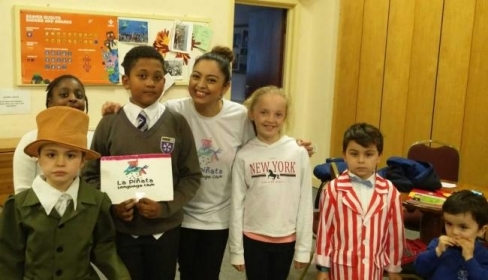 La Pinata Language Club has been nominated for this award, the club teaches extracurricular Spanish to kids in primary in Beckenham. The individual nominated is Sandra Gomes who runs the club. She said "I am delighted to have made the finals because teaching Spanish is something I just love to do. It’s also an honour to have been recognised by parents and carers which makes it even more special.Learning Spanish or any second language offers a lifetime of opportunities and possibilities and I believe it is essential that if a child is to embrace languages, the experience becomes an enjoyable part of their life. The awards ceremony will be held in.